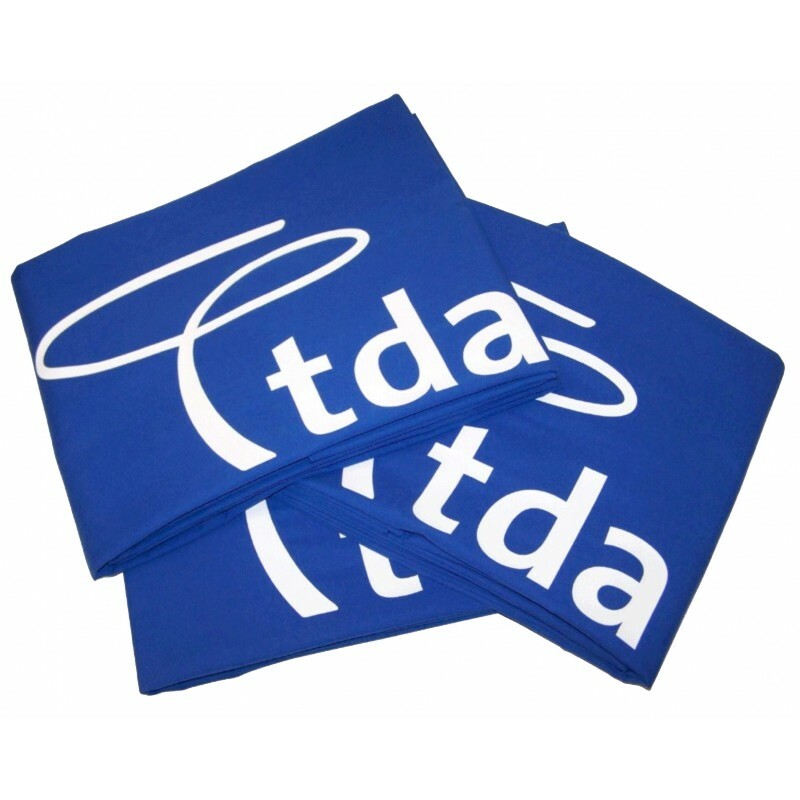 Printed tablecloths are an inexpensive way to create a great first impression at recruitment fairs, conferences and exhibitions. 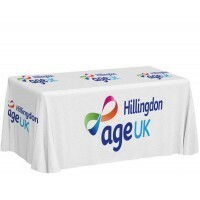 Turn a simple table into a powerful marketing station with the help of our bespoke display table cloth. 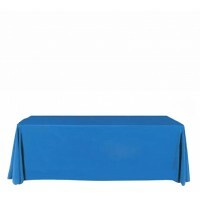 Our washable polyester tablecloths are printed with your logo, marketing message or corporate branding. 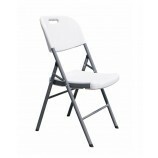 So you can ensure that they're always looking their best for your next event. 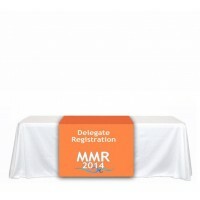 Your message will be sure stand out from the crowd when displayed across one of these impactful display pieces. 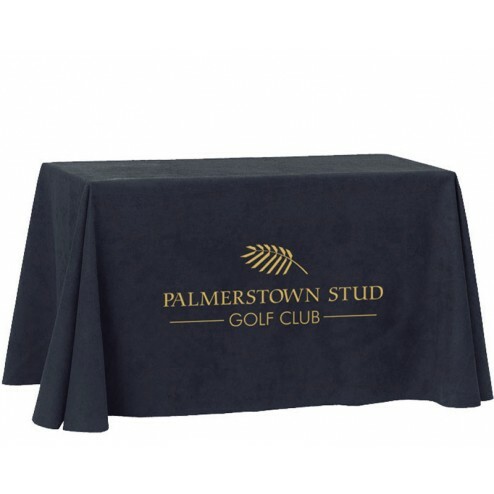 Our design service available if you don't have an existing design in mind for your table cover, and can help you get the perfect design to suit you. 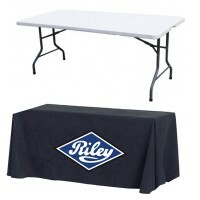 If you would like help with our custom table cover please call one of our display advisors. 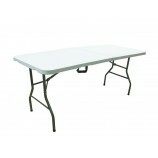 No hard sell, just straightforward helpful advice on how to get the best value from your display budget: 0844 800 1020. 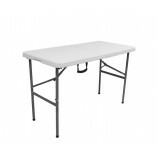 Open Back: 70" | Closed Back: 90"
108" | 120" | 132"
Purchased a custom table cover plus the actual table itself. Really chuffed, logo printing looks great and was delivered on time. Would recommend.